A stop you in your tracks lighting feature you will love the Shimmering Shell Disc Chandelier is a one-of-a-kind ceiling lights. 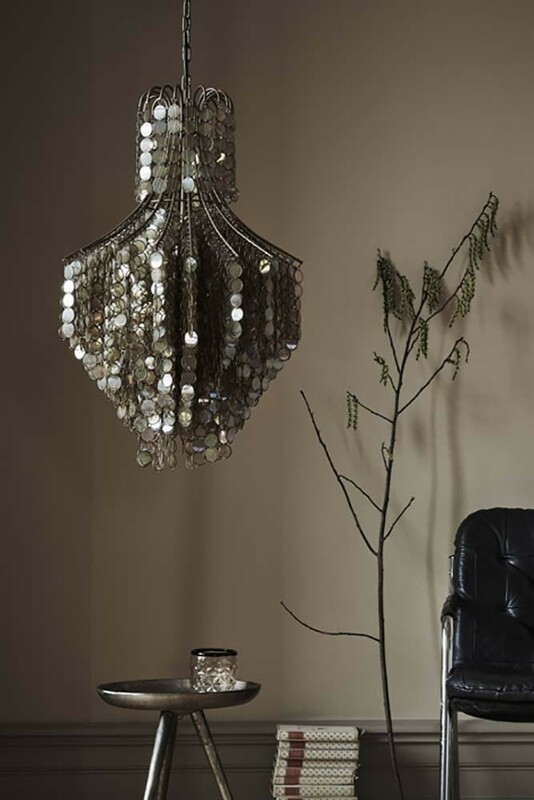 Adorned in shimmering shells the chandelier is a statement piece to hang in your hallways, dining rooms, living rooms and bedrooms. If you want to go a step further then take the advice of RSG Co-founders, Jane and Lucy, who recommend in their book, Extraordinary Interiors, to hang statement lights in unexpected places. 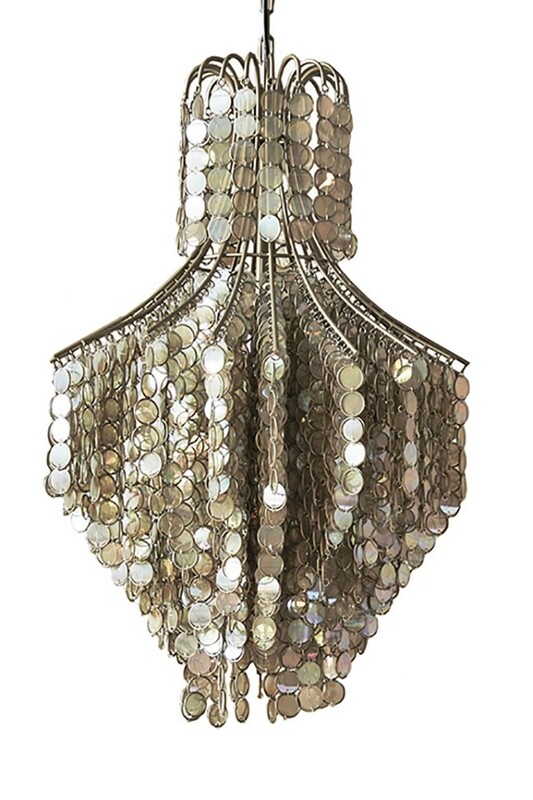 So why not hang the Shimmering Shell Disc Chandelier in the kitchen or either side of the bed?! The more unusual the spot the better! 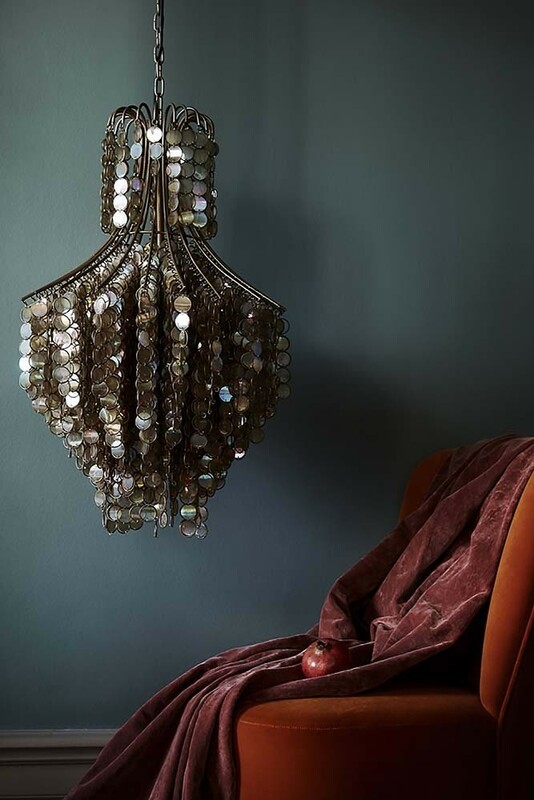 RSG Top Tip: Ask a qualified electrician to install a dimmer switch so that the light in the Shimmering Shell Disc Chandelier is warming and golden, or alternatively, opt for a low wattage light bulb for a similar effect!